The last time I saw a line this long, I thought to myself, I was in Anaheim at the Magic Kingdom. But, no, Shanghai’s long planned Disney theme park still hasn’t opened, so I wasn’t waiting my turn to ride its version of Splash Mountain, as welcome as a log ride might have been on that steamy Saturday afternoon in August. 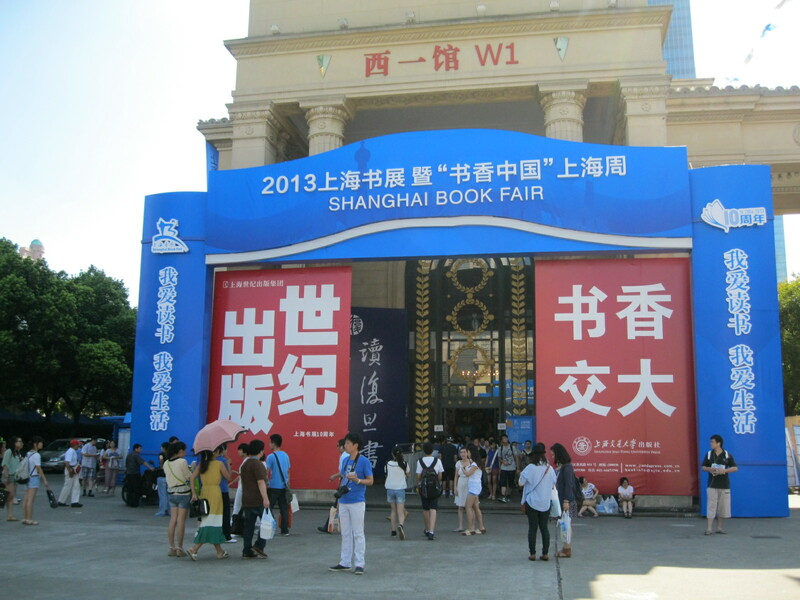 Instead, hundreds of other line-dwellers and I were getting gently misted by hoses strung overhead as we awaited our chance to enter the Shanghai Exhibition Center and visit the city’s Book Fair, a weeklong event celebrating its tenth anniversary this year. Scalpers paced up and down the line, offering tickets at 20RMB (approximately $3.25), double the face value. When prospective buyers complained about the price markup, the ticket scalpers had a ready explanation: “You don’t have to wait in line!” It was an attractive offer; even with the misting apparatus that had been installed to keep temperatures down in the queue, the hundred-degree afternoon was hitting all of us with full force. For half an hour, the line barely seemed to move, and I realized that Shanghai has more book enthusiasts than I had suspected. To see which books were hot, and which were not (poor Zhu Rongji), at the Book Fair, read the rest of the entry here. Read the bookfair piece. Who would have thought it?